What to do over the weekend? Since the weather has proven itself to be a little more predictable the last couple of days-hot, hot, hot with a burst of rain, it’s been a little confusing to plan how to spend my rest days. Although, workwise Philippine Fashion Week and other events have kept me (literally) and figuratively on my toes. Spending a lot of time in couture and high, high heels have left me with rather sore calves and not to mention sore soles. An old colleague of mine from my print days invited me to try out a new foot reflexology place just to give myself a little weekend treat. I jumped at the chance, happy that it was open when a free slot in my schedule opened up. I met my friend at The Reflex Zone and was led into a rather open space filled with very comfortable looking chairs. It was explained to me that this center practiced the Rwo Shur Health Method of Reflexology and that all the therapists were male and had undergone strict training in this particular method. As a backgrounder, Rwo Shur was developed by Fr. Josef Eugster, a Swiss Catholic priest and a missionary in Taiwan who got into reflexology because of his own need to be healed. In 1977, at only 37 years old, he was suffering from a debilitating severe rheumatoid arthritis in his knees. After consulting several physicians, it was a friend who convinced him to try reflexology-telling him that the root cause of his ailments were rooted in the imbalance of his internal organs and could be treated by curing through pressing on various pressure points found in the feet. Initially, Fr. Josef didn’t understand how a method used on the feet could help his knees, but he nevertheless, began studying reflexology. 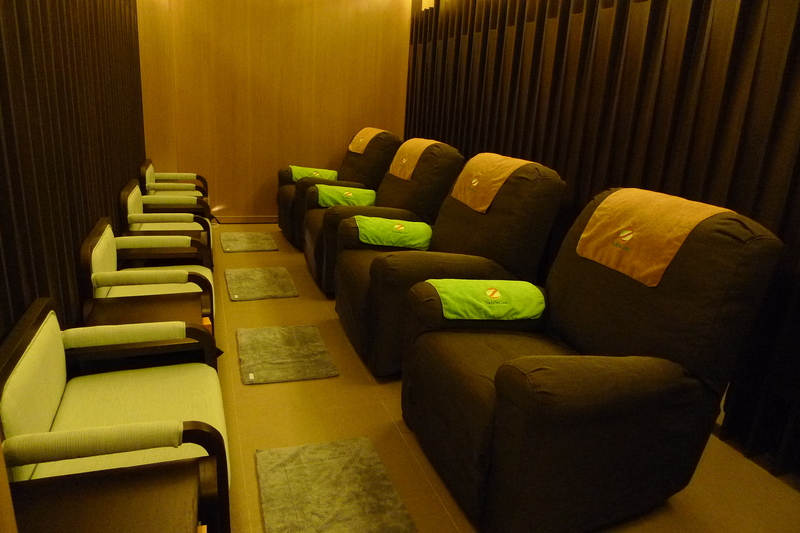 When he first used reflexology on himself, he could barely stand the pain, but he diligently treated himself every day. Within two weeks, to his amazement, the arthritis disappeared. Becoming a self-taught Reflexologist, Father Josef first cured himself, and then began to share the knowledge with his friends and parishioners with great success. And since then, he has gradually developed his own variations on the known techniques judging their value solely by the results that were obtained. He has likewise promoted the healing benefits of Reflexology in Taiwan, China, Malaysia, Singapore, South Korea, Hong Kong, Japan, the US and Europe. I was looking forward to my treatment which would take about 80 minutes. I try to have massages weekly and have also experienced reflexology treatments around the world. There is a blend of both pain and relief during this (if done well) but it really does help release a lot of toxins that your body is carrying. While waiting for our therapists we were given a foot soak and some kind of gel like bath for our feet that harderned and was rather refreshing. As the therapists came in and discretely covered part of my exposed leg, he asked me if I had any particular issue or illness I wanted to address. I told him candidly that my legs and lower back were painful but it was normally my neck and my shoulders that were my regular sore points. Needless to say the next hour had me in his very able and strong hands that kneaded and applied very strong pressure all over the soles of my feet, the tops of my feet and (my most sensitive area pain wise) around my ankles. This was followed by a short back massage and I did feel like my whole world had melted away when it was all over and that I was going to sleepreally well that night! Before the therapist left he explained that we shouldn’t wet our feet for several hours and not to eat too heavy that night. He didn’t need to tell me as I went home and practically collapsed on my bed that same night. I am so grateful that there is a new place for me to decompress after a long work week or even a weekend of way too many parties and events. I was told that The Reflex Zone has two packages, one for adults (like what I had) which is priced at a very reasonable Php 1000 and one for kids aged 5 to 8 years old. Reflexology has been found to have positive effects in the treatment of various conditions common in children, such as allergies, digestive problems, sleep disruption, and emotional or behavioral problems. I kinda chuckled when I heard this, thinking if this can help kids (emotionally) it is certainly a must for most adults. I have since then added another healing service to my me time-getting an overall health boost through Rwo Shur Reflexology. 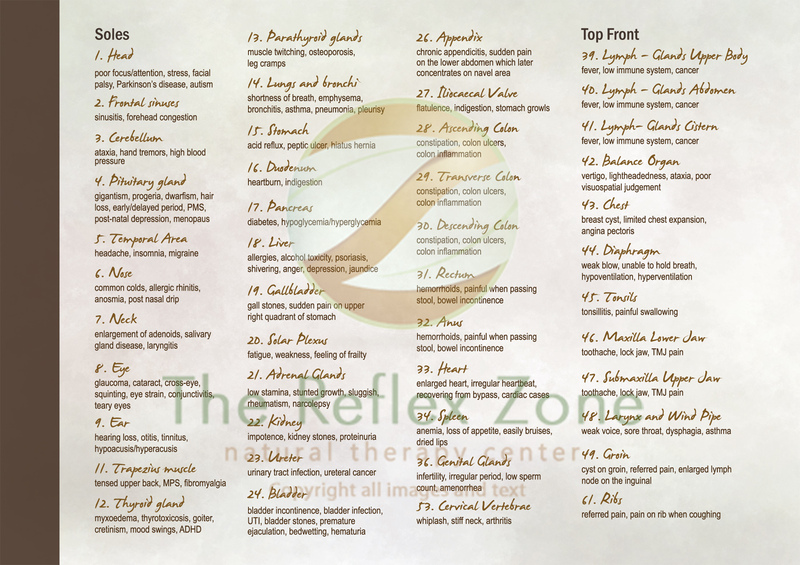 The Reflex Zone natural therapy center is located at the Ground Floor of the Narra Building, 2276 Pasong Tamo Extension, Makati City. It is open on Tuesdays to Sundays, 1:00 – 10:00 pm. Appointments and queries may be made through 812-0050 or info@reflexzone.com.ph. You can also log onto http://www.reflexzone.com.ph for more information.